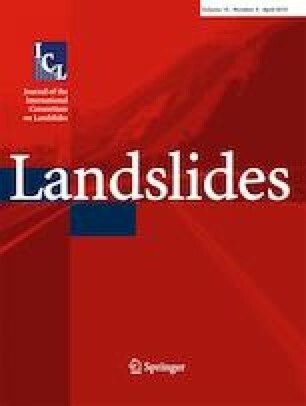 Hundreds of landslides were triggered by the mainshocks (up to Mw 6.5) that occurred in 2016 in Central Italy during the seismic sequence that originated in the Apennine and ended in January 2017. These landslides were studied via field-based investigation and remote sensing techniques during the weeks immediately after the mainshocks occurred. EarthQuake-triggered Landslides (EQtLs) mostly consisted of rockfalls and rockslides. The spatial distribution of the examined EQtLs with respect to the epicentres of the main shocks resulted in very good agreement with the available empirical curves of maximum distance vs. magnitude. Based on the collected dataset, approximately 70% of the landslides impacted transportation routes (national, provincial and secondary roads linking towns and mountain villages) since they principally detached from road cuts. The landslides caused traffic interruption, and some delayed rescue vehicles from reaching the zones most damaged by earthquakes; moreover, some landslides caused the temporary isolation of several localities in the epicentre area. Even if it seems obvious that road cuts favour slope failure under shaking conditions, the dataset reported here is the first one for Italy where such an effect is quantified. Moreover, a statistical analysis was conducted to explore the relationships between the spatial distribution of EQtLs and some selected causative factors, including both natural (i.e., earthquake and terrain) and anthropogenic factors (i.e., presence of roads and trackways). Among the considered combinations of causative factors (both natural and anthropogenic), this study demonstrates that the occurrence of the uphill road cuts at the bottom of deep incised V-shaped valleys strongly influenced the spatial clustering of the EQtL triggered in 2016 in Central Italy. R. W. Romeo died before the publication of this work was completed. The authors wish to thank the Parco Nazionale dei Monti Sibillini (O. Olivieri) and the Collegio Regionale delle Guide Alpine della Regione Marche (M. Vallesi) for the logistic support provided during the field activities. In the present study, S. Martino was the scientist responsible of the research group and contributed to field surveys, data acquisition and processing; F. Bozzano, M. Della Seta, C. Esposito, P. Mazzanti and R.W. Romeo coordinated specific research activities and contributed to field surveys, data acquisition and pre-processing; P. Caporossi, L.M. Giannini, C. Missori, S. Moretto and L. Schilirò contributed to field surveys and data acquisition; D. D’Angiò, M. Fiorucci, R. Iannucci, G.M. Marmoni, S. Rivellino and C. Varone contributed to field surveys, data acquisition, pre- and post-processing; A. Fantini and P. Sarandrea contributed to field surveys and the geo-database management; and D. Piacentini and F. Troiani performed the spatial and statistical analyses.